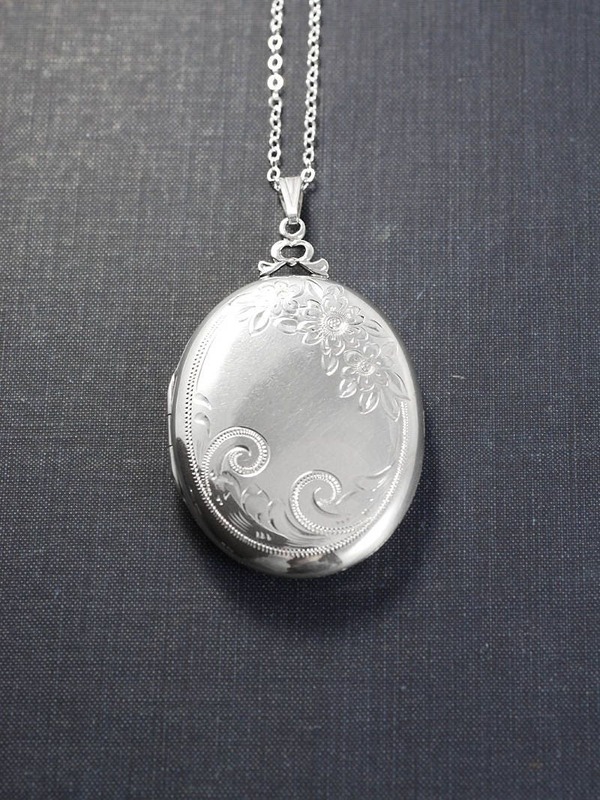 Stunning hand engraving graces the face of this gorgeous and generously sized sterling silver vintage locket. 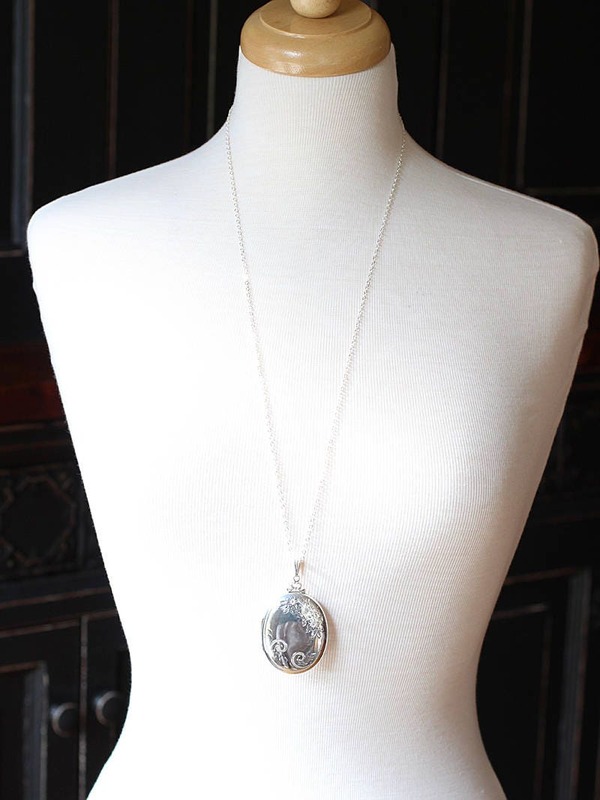 The flowers and intricate swirls follow the edge of this wonderful design topped with a bow. 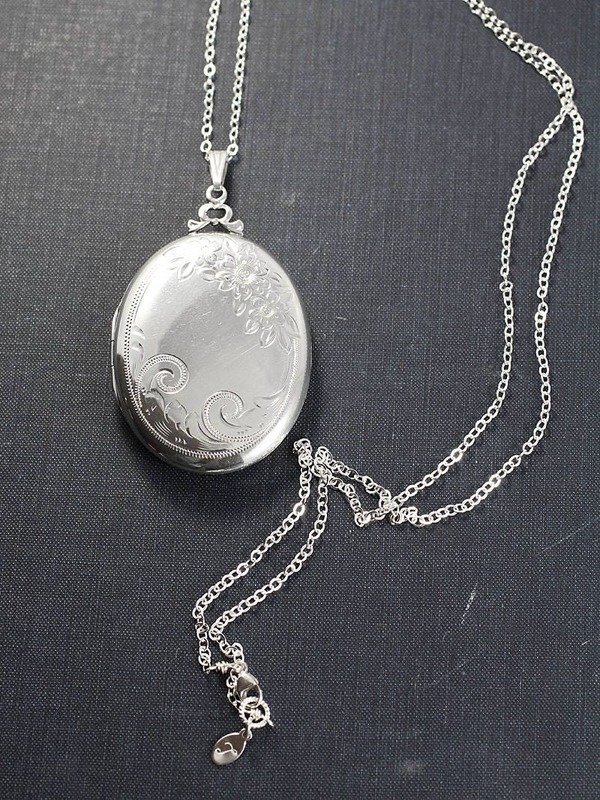 The back of the locket is signed "sterling" with the maker's mark. 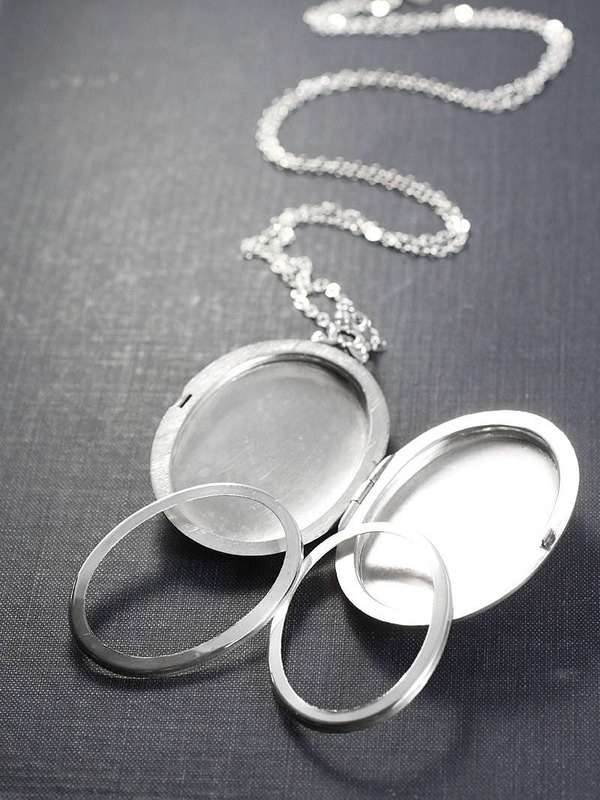 The locket opens to reveal two removable frames waiting to hold your beloved photographs. 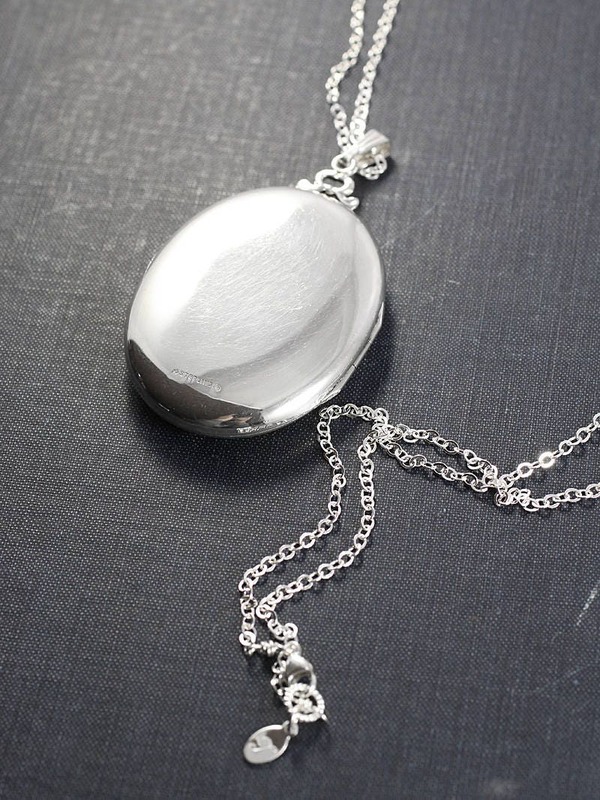 The design is set on a new extra long chain of sterling silver hand finished with a trigger clasp and ring.